I’ve talked — er, sung — about feline balding (alopecia) before with “Why Does My Kitty Appear to Be Going Bald?” — but the fact that this kitty has self-directed aggression makes me think this is a behavioral and possibly neurological issue. If your vet has ruled out allergies and fleas, stress or hyperesthesia could be the culprit. I know a kitty named Nellie who has hyperesthesia, and she attacks her own tail like it is a foreign body. This is also called rolling skin disorder because the muscles on the back twitch and roll before an episode occurs. It used to be just a crazy tail chase when she was a kitten, but as she grew, Nellie began harming herself! If your cat has the condition, you and your vet can decide what course to pursue. 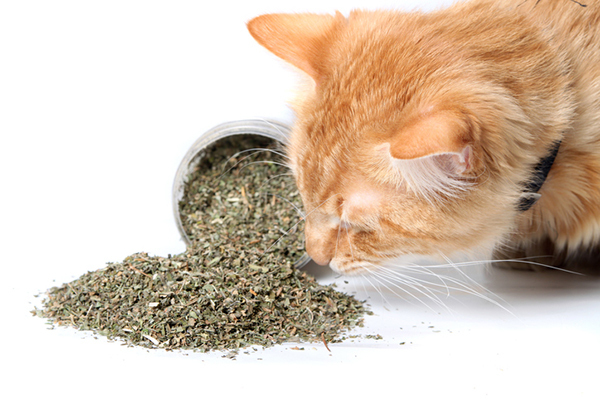 Some cats are given drugs or even have their tails amputated, and some just live with the disorder with special management from their owners. Obsessive grooming could also be caused by stressors such as new family members, pets, or surroundings. Compulsive behaviors like this can be managed with increased attention, regular schedules, pheromone diffusers, calming collars, and even added stimuli like cat shelves and pods. I think if a man is going bald, he should avoid the inevitable ring of shame, shave his head, and embrace it. This probably isn’t going to work for Mr. Muffins, so mosey on over to your vet for the best solution. SOURCES: Northern Echo, Cornell University, Cat Health, and special thanks to Nellie’s mom, Linda M.